Murphy Company Mechanical Contractors And Engineers Inc engages in providing industrial construction, engineering and mechanical services in the United States. The Murphy Company was founded in the year 1907 and has headquarters located in St. Louis, Missouri and additional corporate office in Denver, Colorado. The Murphy Company Mechanical Contractors And Engineers Inc has regional offices in Colorado Springs, Colorado, and Fairview Heights, Illinois. The Company provides mechanical, industrial engineering, and design build solutions, including HVAC, plumbing, process piping, engineering design, control, maintenance service, quality and inspection, testing and documentation for federal, state, and local government agencies. 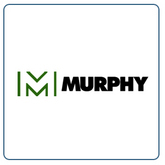 There are currently 0 consumer reviews about Murphy Company Mechanical Contractors & Engineers available. Share your review. Please take a note that you are about to post a public review about Murphy Company Mechanical Contractors & Engineers corporate office on CorporateOffice.com. This review will be public, so please do not post any of your personal information on this website. If you would like to contact the corporate offices of Murphy Company Mechanical Contractors & Engineers, please use their contact information such as their phone number, website, and address listed above to contact them. However, sometimes staff from Murphy Company Mechanical Contractors & Engineers headquarters do read the reviews on this website.